We’re thrilled to welcome members to Llanfaglan Church, Gwynedd for our Annual General Meeting this year on Saturday 13th October 2018 (2pm). 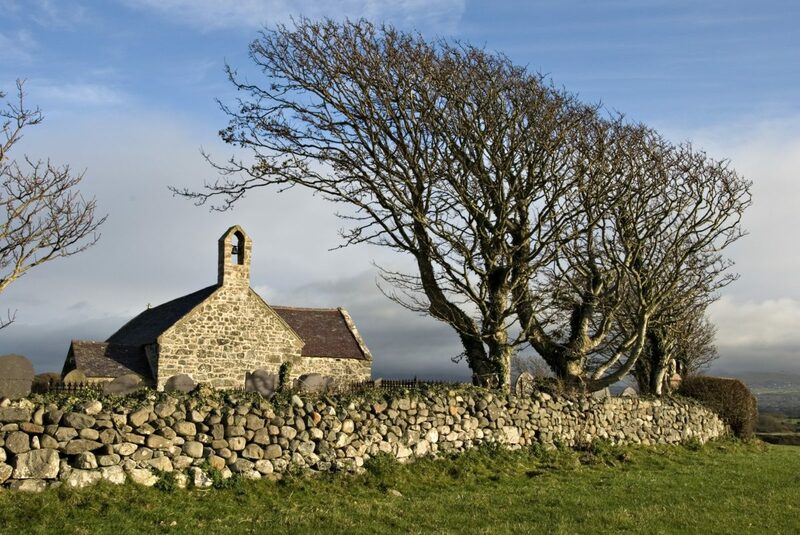 St Baglan’s sits in romantic isolation shrouded by the Black Mountains and overlooking Caernarfon Bay in North Wales – with deep roots in the local history and community, and extremely committed local friends. After the AGM, members are invited to take afternoon tea in the music room of Fort Belan, an unusual military building dating from 1775, erected by Thomas Wynne as part of the coastal battery for his Caernarfonshire Militia. The owner Chris Blundel will give us an introduction to the fort and members will be able to explore the buildings after tea.